Some time ago I wrote that FCoE would have problems on 10GBaseT due to relatively high error rates of 10GBaseT deployment. New information suggests that this problem is solved under certain circumstances. In a recent project, I noted an astonishing difference in price of the optical and copper cabling assemblies associated with 10Gigabit Networking. I conclude that some companies are including a “license fee” in the cost of these components and making the overall cost harder to determine. 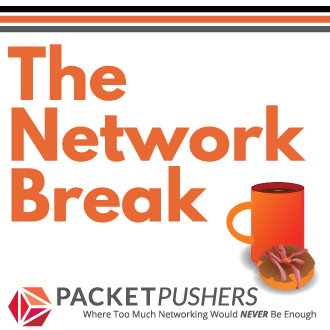 Network Break is round table podcast on news, views and industry events. 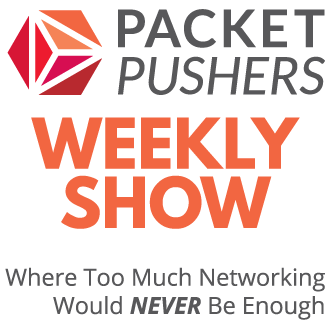 Join Ethan, Drew and myself as we talk about what happened this week in networking. In the time it takes to have a coffee. A podcast on Data Networking where we talk nerdy about technology, recent events, conduct interviews and more. We look at technology, the industry and our daily work lives every week. Our motto: Too Much Networking Would Never Be Enough! Copyright Greg Ferro 2008-2019 - Thanks for reading my site, it's been good to have you here.